The Scream is the popular name given to each of four versions of a composition, created as both paintings and pastels, by the Expressionist artist Edvard Munch between 1893 and 1910. 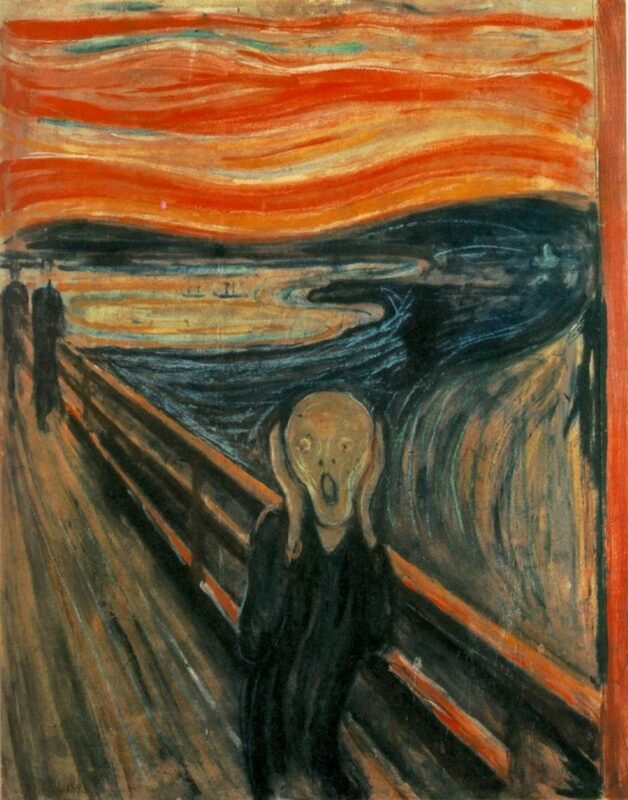 Der Schrei der Natur (The Scream of Nature) is the title Munch gave to these works, all of which show a figure with an agonized expression against a landscape with a tumultuous orange sky. Arthur Lubow has described The Scream as “an icon of modern art, a Mona Lisa for our time.